This season we’ll be offering discount children’s packages at Hunter and Windham mountains. Packages are offered as half-day (morning or afternoon sessions) or full-day options and include a round-trip bus pass, lift ticket, the specified gear rental, and group lesson for each session. Details below. Explorers Half-Day Ski Package (ages 4-6) includes a round-trip bus pass, lift ticket, gear rental, and a two-hour group lesson $150. Explorers Full-Day Ski Package (ages 4-6) includes a round-trip bus pass, lift ticket, gear rental, 2 two-hour group lessons, and lunch and snack) $220. Mountaineers Half-Day Package (ages 7-12) includes a round-trip bus pass, lift ticket, ski or board rental, a two-hour group lesson) $150. Mountaineers Full-Day Package (ages 7-12) includes a round-trip bus pass, lift ticket, ski or board rental, 2 two-hour group lessons, and lunch and snack) $220. Mini Moguls Half-Day Package (ages 4-7) includes a round-trip bus pass, lift ticket, ski or board rental, and 90-minute group lesson) $150. Lessons are 10 AM-11:30 AM & 1:30 PM-3:00 PM. 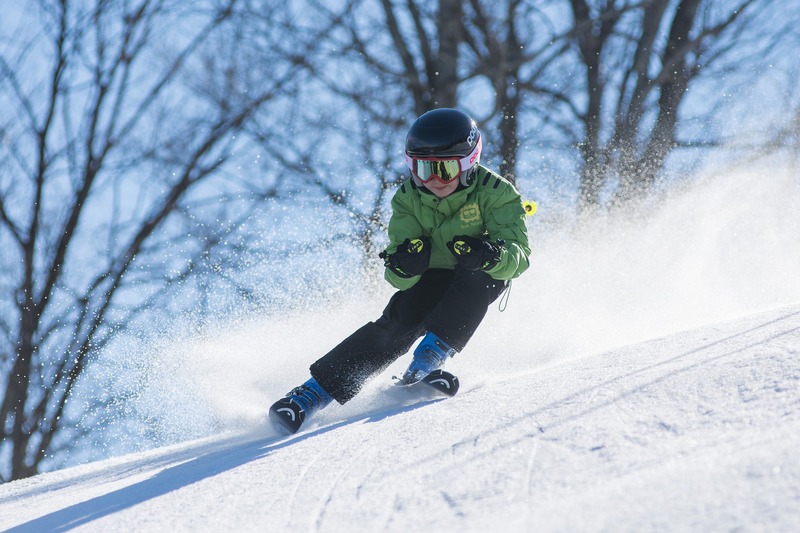 Mini Moguls Full-Day Package (ages 4-7) includes a round-trip bus pass, lift ticket, ski or board rental, 2 90-minute group lessons, and lunch and snack) $220. Mountain Masters Half-Day Package (ages 8-12) includes a round-trip bus pass, lift ticket, ski or board rental, and 90-minute group lesson) $150. Mountain Masters Full-Day Package (ages 8-12) includes a round-trip bus pass, lift ticket, ski or board rental, 2 90-minute group lessons, and lunch and snack) $220. Gear Rental Ski rental includes helmet, shaped skis, poles, and boots; snowboard rental includes helmet, board, boots, and bindings. Outerwear leasing can be arranged through Mountain Threads.